Learn how raising interest rates have an effect on buying power. While some people think the best time to buy a home is when they’ve saved enough money for a down payment or until the market hits bottom, the interest rates have the most effect on purchasing a home. After all, homebuyers will live with the monthly payment rates rather than the amount of the loan. Continue reading to learn more about how raising interest rates will affect your buying power. With each loan, there is always the chance that a borrower can’t repay the money, so to compensate lenders for taking the risk, they have the reward of interest. Interest is the amount the lenders earn when they make a loan, while the interest rate is the percentage of the loan that the lender charges. The lower the interest rate, the more people are willing to borrow money and buy their dream home. On the other hand, raising interest rates results in fewer people buying homes, as they can’t afford the expensive monthly payments. Changes in interest rates can have negative and positive effects on the U.S. markets, but a minor change in rates can have a significant effect on your monthly payments. When calculating how much you can afford for your home, think about how much money you can spend on a monthly payment. 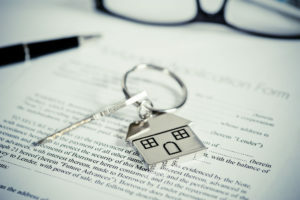 The change in interest will greatly affect the size of the 30-year loan you can afford, which may mean the difference between your dream home and a much smaller home. For those who can afford $2,000 a month, the interest rate of 3% calculates to a loan amount of $474,000, while a higher interest rate of 6% will get you a loan around $330,000. Essentially, the higher the interest rate, the less a homebuyer can afford. With over 55 years of experience and a fantastic reputation, Rainbow Construction, located in Waldorf, MD, can make your dreams a reality. We serve St. Mary’s, Charles, and Prince George’s Counties, Southern Maryland, and Washington, D.C., and pride ourselves on providing excellent customer service, professional expert workers, and competitive rates. To learn more about our custom home building, visit us online or give us a call at (301) 843-1018. To learn more about our services and who we are, follow us on Houzz, Pinterest, Facebook, Twitter, Instagram, and LinkedIn. This entry was posted on Wednesday, October 24th, 2018 at 4:35 pm. Both comments and pings are currently closed.